Horns honked as people drove by and saw the rows of white chairs draped with tulle. 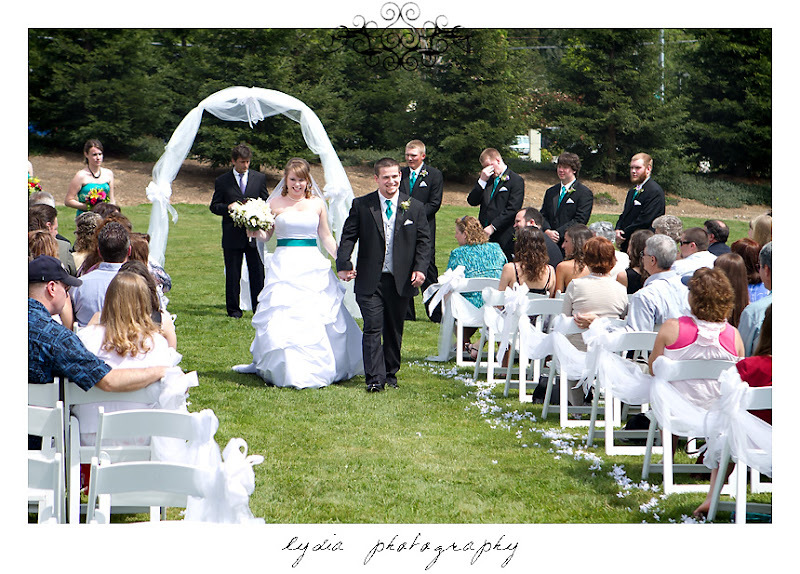 Spring came back for at least one day, and First Baptist Church of Fair Oaks was having their first outdoor wedding. One driver even called out, "It's not too late yet! "But it was too late. Hannah and Johnny were already in love and couldn't wait to spend the rest of their lives together, under one roof. No longer would Johnny have to drive down from Reno to Sacramento for the day only to drive home that night. Those days were finally behind them! 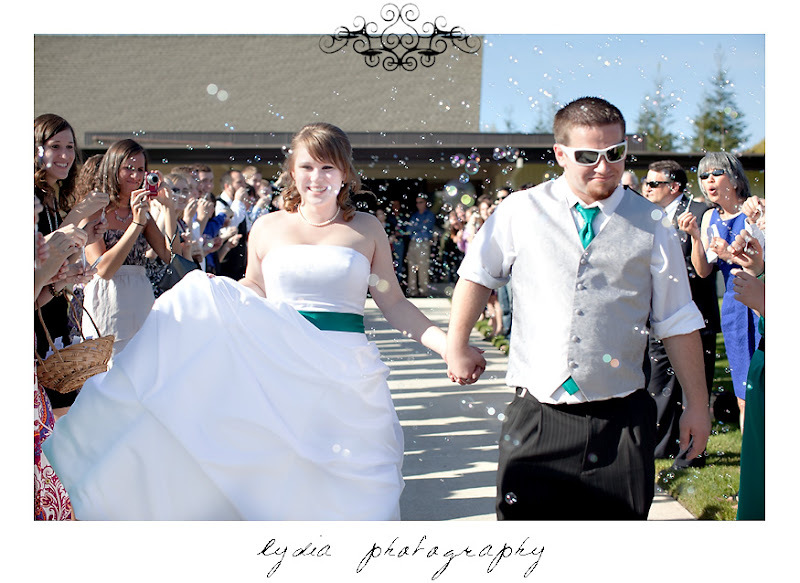 This day wasn't just about joining Hannah and Johnny together in marriage though. It was the combination of two long time families who were friends. Awana royalty some joked. Teammates, partners, coworkers, brothers and sisters--all gathered in one place to celebrate. And as Hannah and Johnny drove off, together, everyone cheered and waved! Hannah and Johnny, thank you for allowing me to celebrate with you! I hope you enjoy the Hawaii sand and sun...and when you come back to California, coming home each night to your little home in Grass Valley, together. 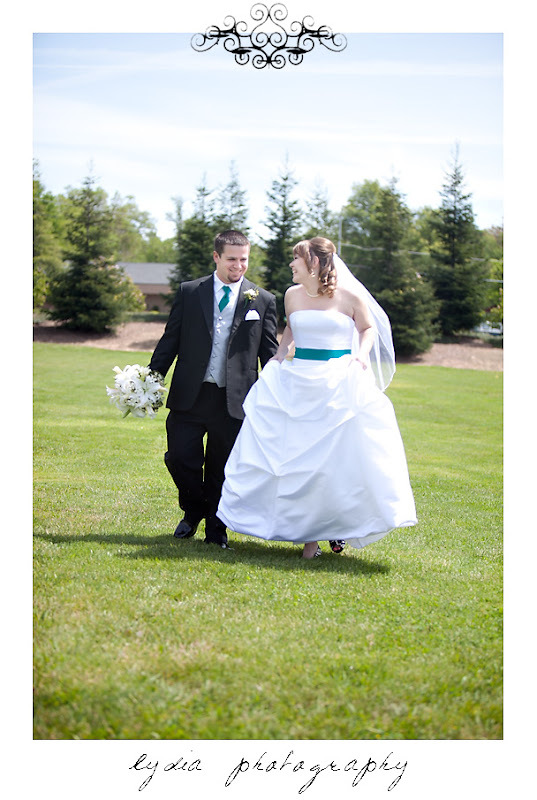 The pop of zebra print on Hannah's shoes and the jade sash added a fun flair to her Alfred Angelo gown. 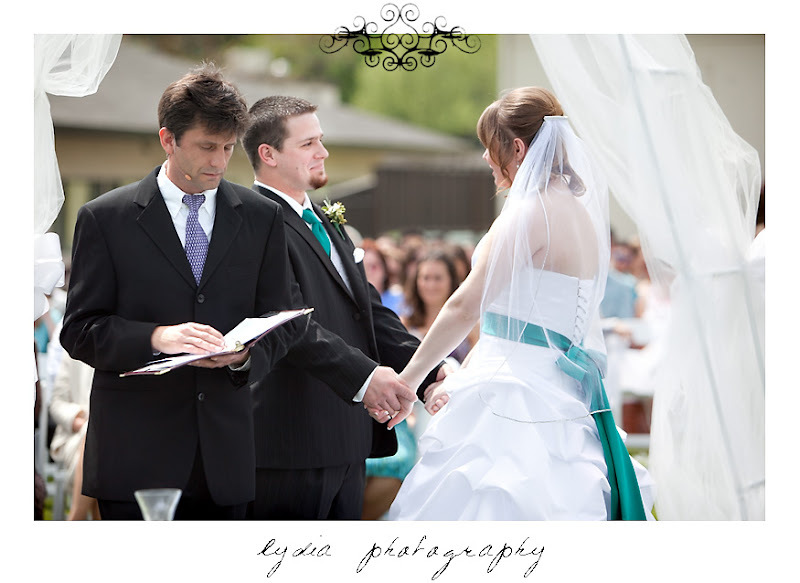 My favorite time during the wedding day is the First Look. 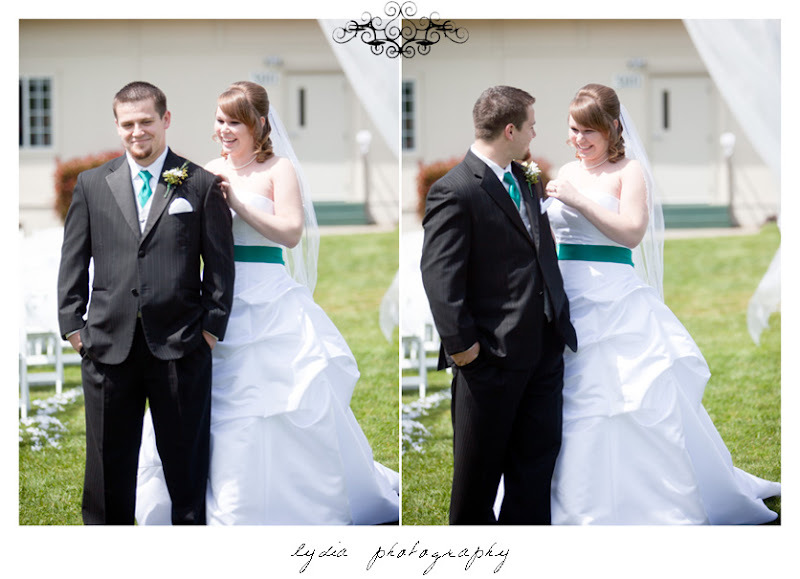 Hannah and Johnny chose to see each other where they would later meet again to say their vows. 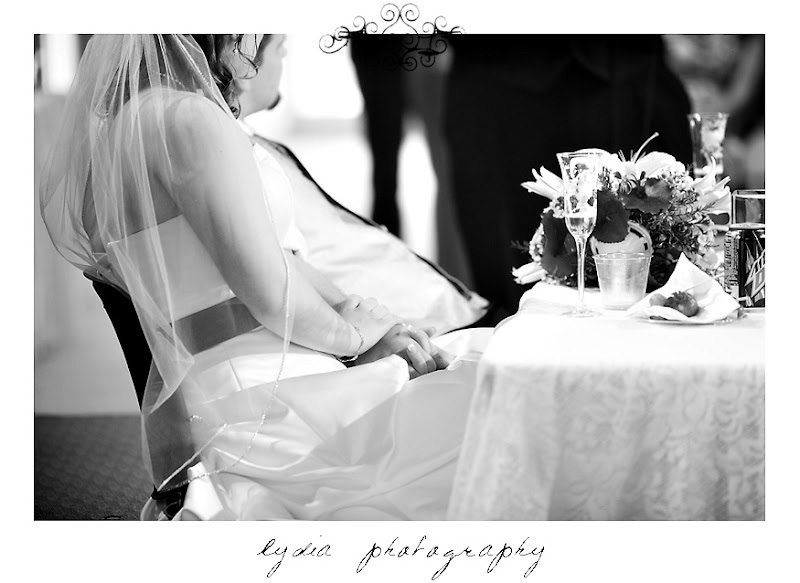 By choosing a First Look, they were able to show all they were feeling at that moment and express it verbally. Without the distraction of a large audience, it was all about the two of them and that moment in time. 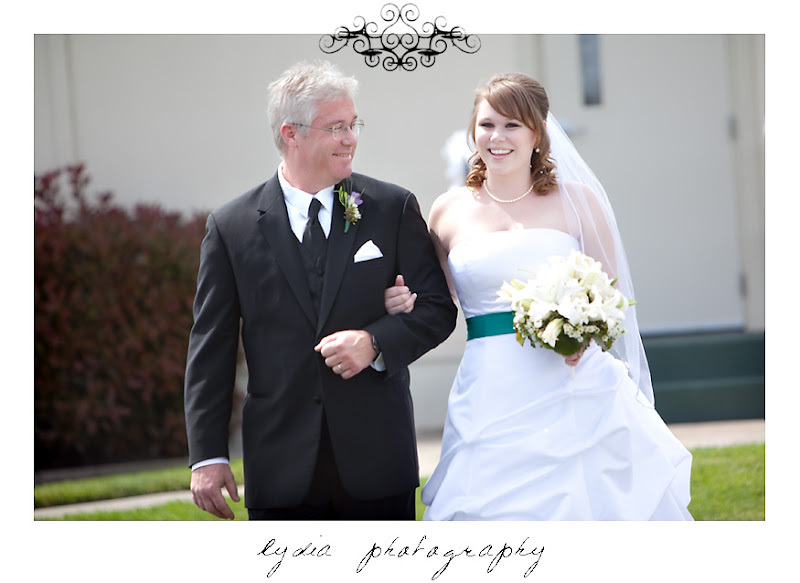 Her bridesmaid and makeup artist, Samantha Bernard, did a wonderful job at accentuating Hannah's natural beauty! 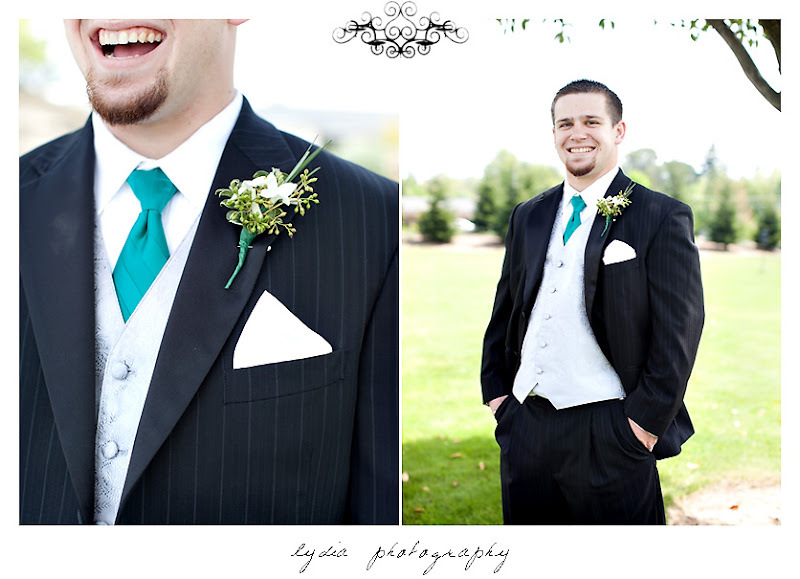 The subtle pinstripe was Johnny's pick and a great choice! Just being around Johnny relaxes Hannah. He's willing to do crazy things to make her laugh! 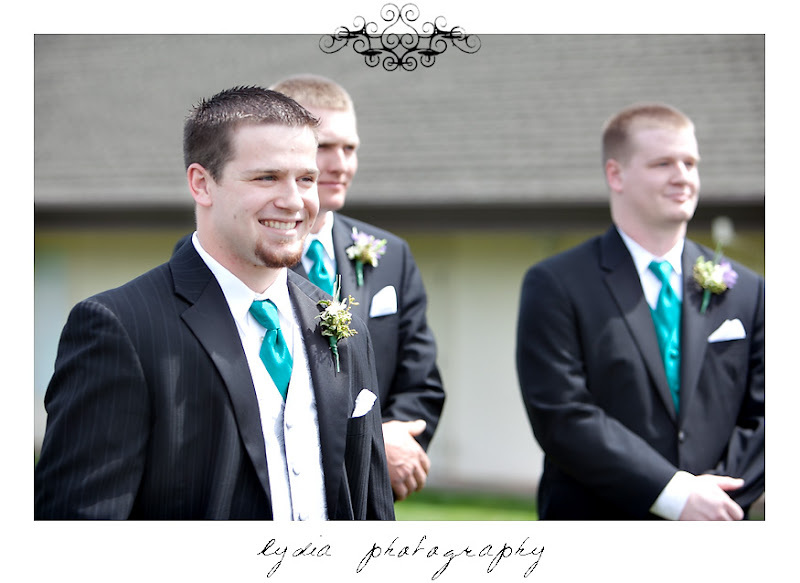 Johnny catching sight of his soon-to-be wife as she comes up the aisle. 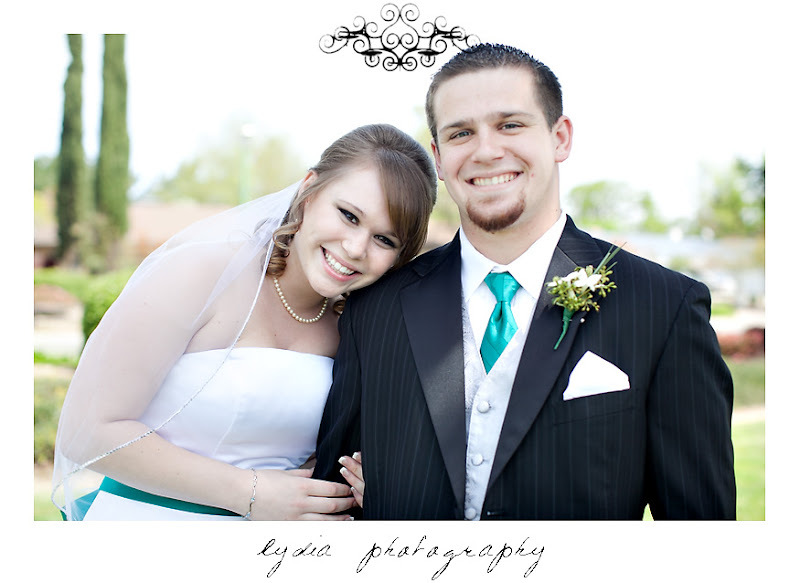 The newly minted Mr. & Mrs.! 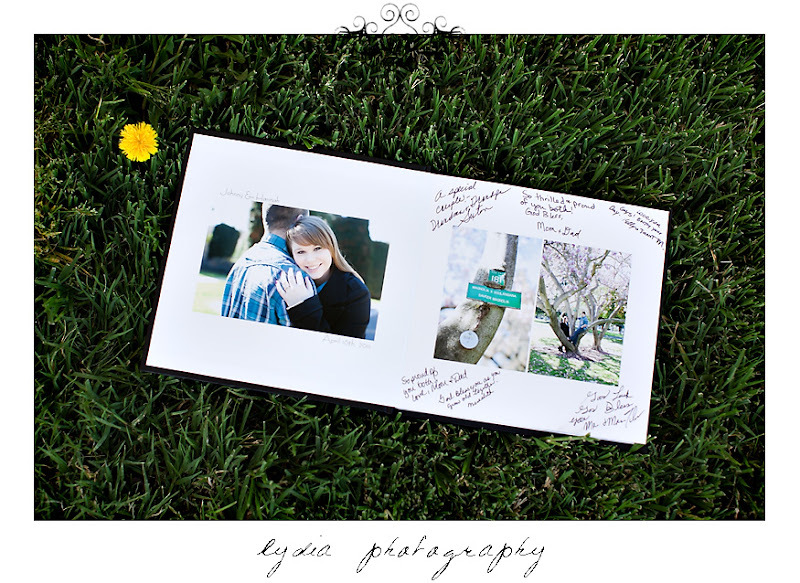 Hannah and Johnny's guestbook was an album filled with their engagement pictures and had plenty of room for signatures and sweet notes from family and friends! 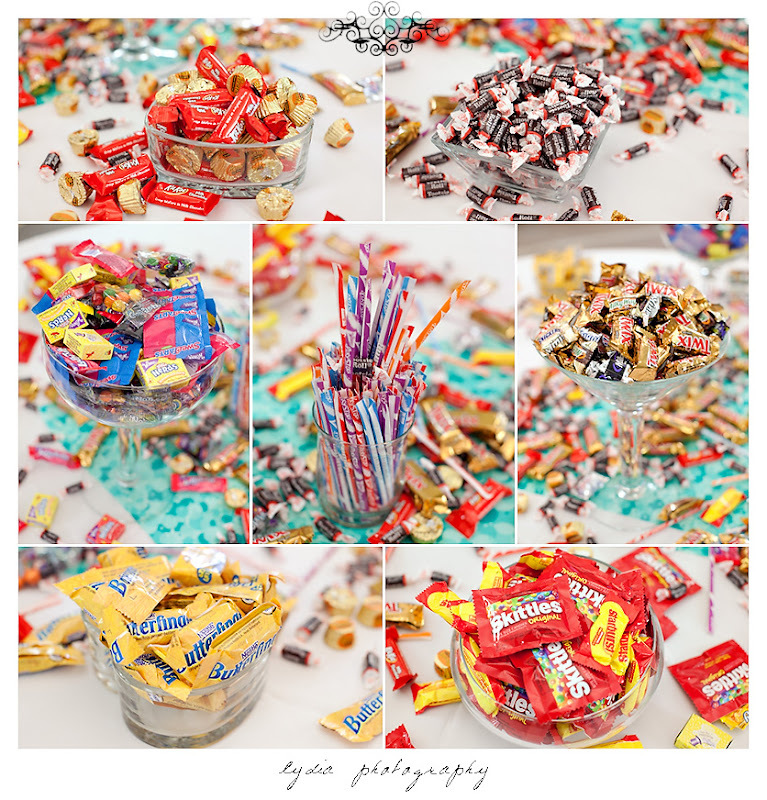 A treat for all the guests was a candy table overflowing with Hannah and Johnny's favorite treats as At Your Service Catering took care of the rest! 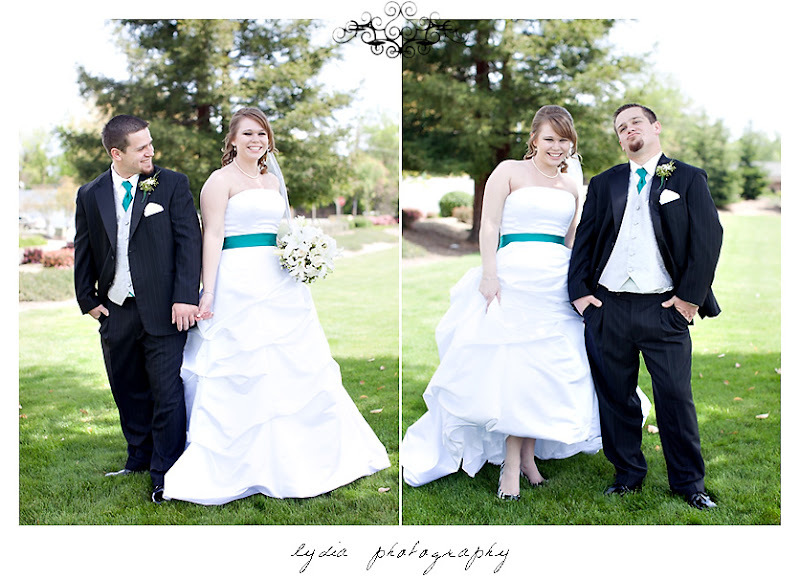 To view more of Hannah & Johnny's Sacramento wedding, check out their personalized website! 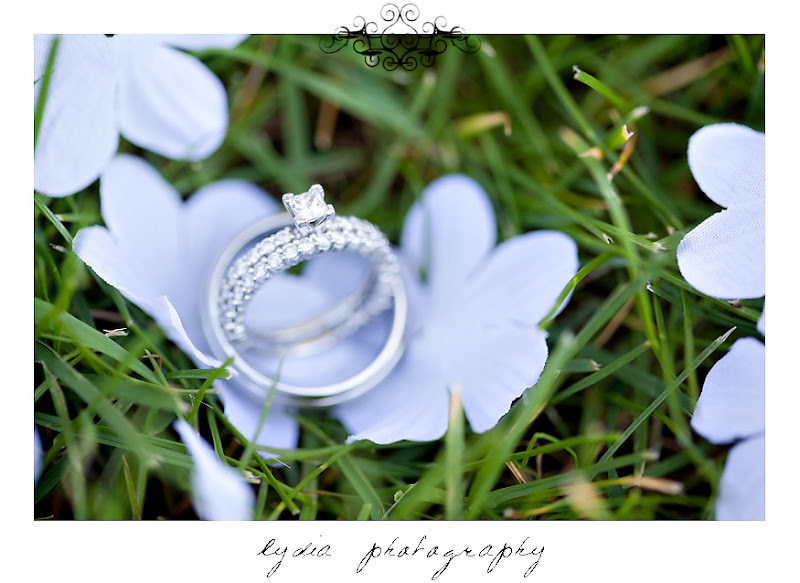 Another beautiful wedding! Great work, Lydia! 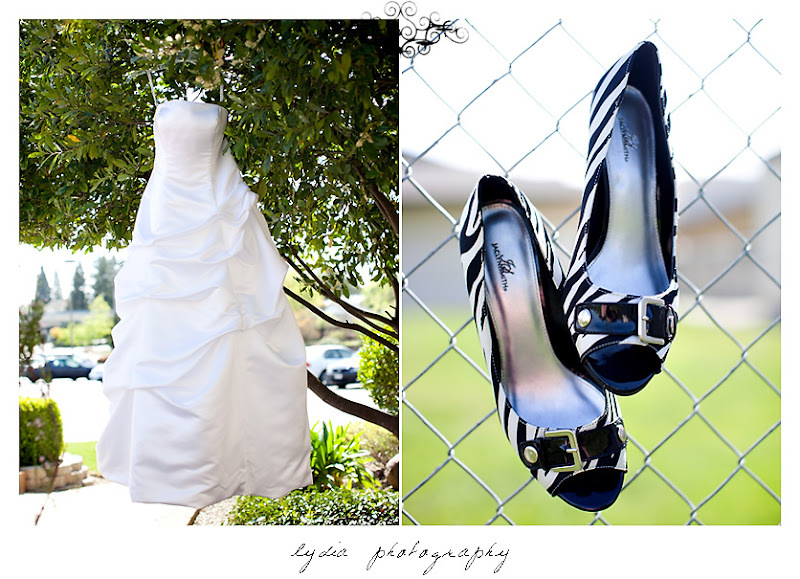 I really like the pictures of Hannah & Johnny before the ceremony. You really captured their personalities and emotions great! 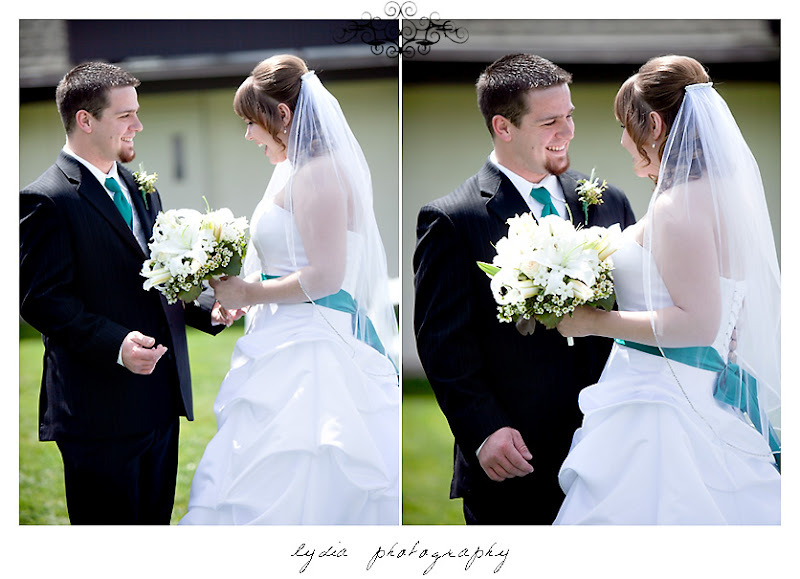 I love how you captured the emotion of Hannah & Johnny seeing each other for the first time - its so sweet!